As storage capacity grows exponentially, and we enter the age of big data, it's no wonder that vendors are diving into the copy data management market. By reducing the number of copies to primary and backup storage, CDM can free up valuable space that might otherwise be used on extra copies of data. 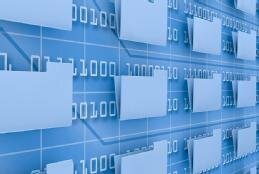 Since copy data management is a useful backup tool, can it also function as a replacement for backup? Short answer: No, on its own, copy data management has capabilities that lend themselves to a secure and reliable backup. Depending on the vendor, CDM products can even restore previous versions of files. While products on the copy data management market help protect and manage production data, consumers should be hesitant to flock to the technology as an alternative to traditional backup. CDM has a number of benefits, but like any technology out there it has its limits. If you're in the copy data management market looking for a new product, there are some questions you should ask before making your final decision. There are a lot of options out there, and vendors are trying to differentiate their product from the others, so it's important to take a look at what features and capabilities each vendor offers. Don't be afraid to dig deep and ask them the tough questions. In this handbook we take a hard look at the copy data management market, what you should ask for from a vendor, and what the technology can -- and can't -- do for you.